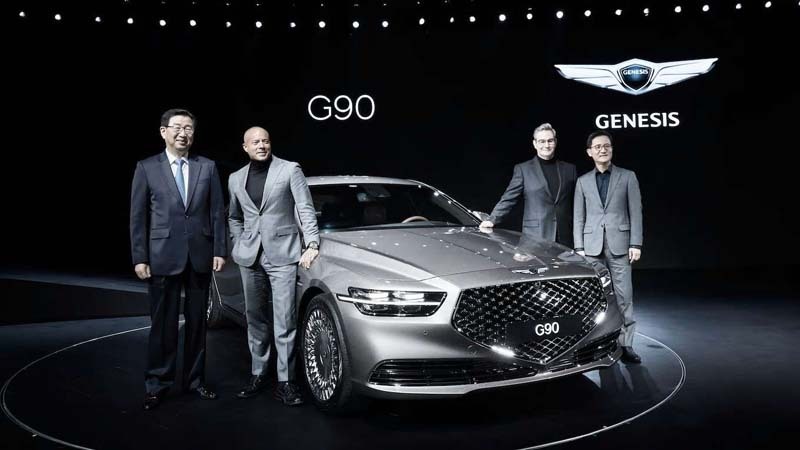 Genesis showed off the revised G90 in Korea this week. 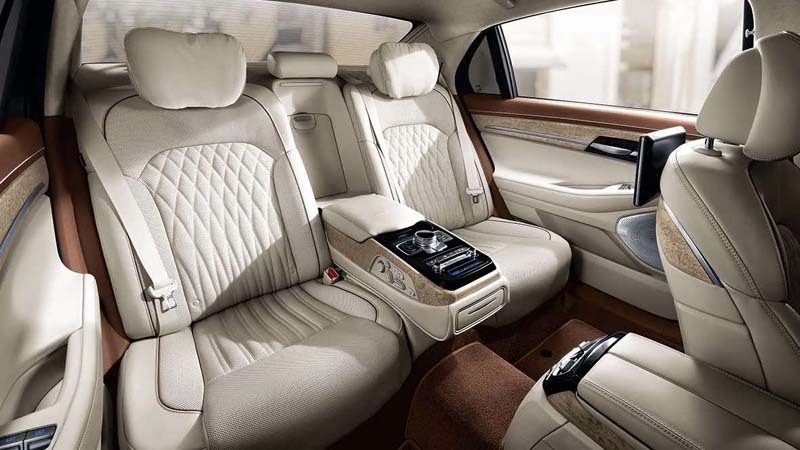 The flagship sedan receives some big design changes as well as technology updates. 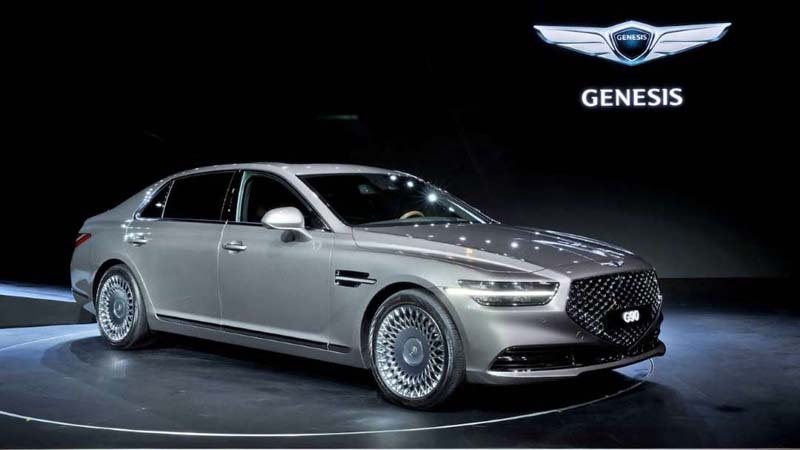 The Genesis G90 adopts a new crest-shaped grille that comes to a sharp point at the bottom. On either side are new quad head lamps with a G-Matrix pattern. This pattern imitates light reflecting from an illuminating diamond, an effect that has also been applied to the revised taillights and optional 19-inch wheels. The Korean-spec model has two new exterior color options: Porto Red and Gold Coast Silver. Overall, the G90's interior looks almost the same as it did before. But Genesis simplified the cabin controls, restyled the air vents, and re-engineered the infotainment nav system. The 12.3-inch screen is divided into two sections, with new copper accents on the interface. The touchscreen now supports Apple CarPlay and Android Auto, and it has zoom in and out capability. Over-the-air updates keep maps up to date. Genesis used to call the model the EQ900 in Korea, but has renamed it G90 to match other markets. The automaker hasn't announced details for the U.S.-spec G90 yet. But expect to hear more when the G90 rolls out to worldwide markets next year. The G90 was the first car Genesis debuted as a new brand. By 2021, the brand will reveal two SUVs and a coupe. 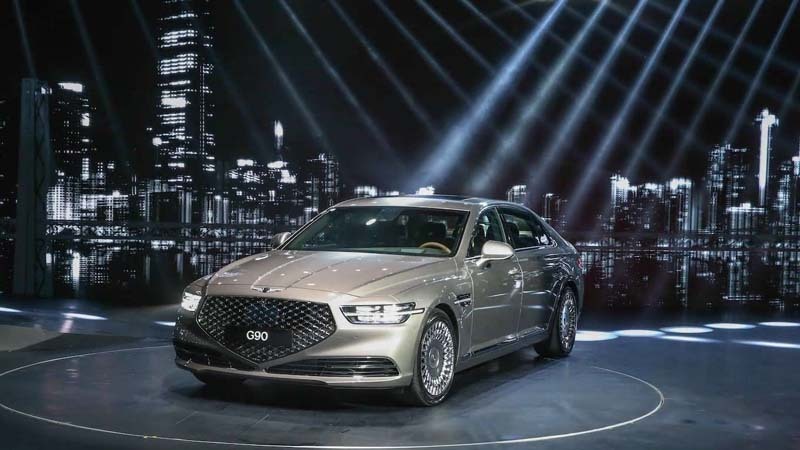 The Genesis G70 was recently named the 2019 MotorTrend Car of the Year.